When I opened the box for the Milwaukee M18 polisher, and got a look at the random components, I decided to take a quick peek at the manual. It wasn’t so much that I couldn’t figure out how to assemble it; that was pretty obvious. You just have to decide whether to screw in the straight handle, which can be attached on either side, or to go with the bail handle. Then, you just have to spin in the hook-and-loop backing pad that holds the polishing pads. So you can spin the backing pad into place. No, being a detailing rookie, my confusion was due to the variety of pads. The kit came with two foam pads, one yellow and one black, and one wool pad. My impulse was to go with the nice, soft wool pad; after reading the manual, I’m glad I didn’t. Turns out that’s for applying compound and doing the heavy duty, big scratch jobs. The second place the manual came in handy was related to speed. I was ready to go full speed ahead, while applying a fair amount of pressure. The manual helpfully told me “No, dumbass; unless you want to burn your paint, use a slow speed and keep that sucker moving.” They may have phrased it more politely, but that’s the gist of it. A little more research clued me in to the fact that the yellow pads are for polishing, and black for finishing. Armed with my new knowledge, I charged up the two batteries, grabbed the yellow pad, and headed for the test site, aka our driveway. Turns out the yellow foam pad was the right choice. 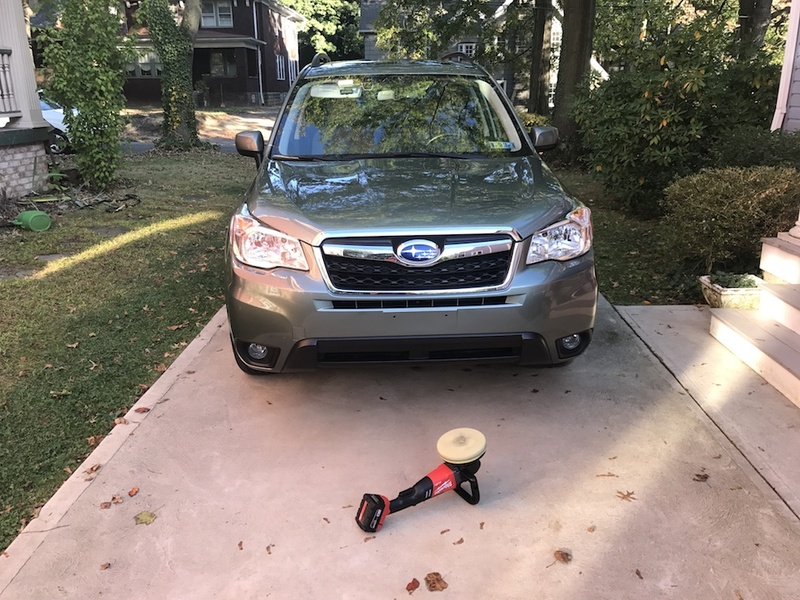 I decided the test vehicle for the Milwaukee M18 polisher would be my wife’s Subaru Forester, for three reasons. Reason one: Spousal brownie points. My usual modus operandi is “it’s easier to get forgiveness than permission.” From time to time, however, the scales must be balanced. 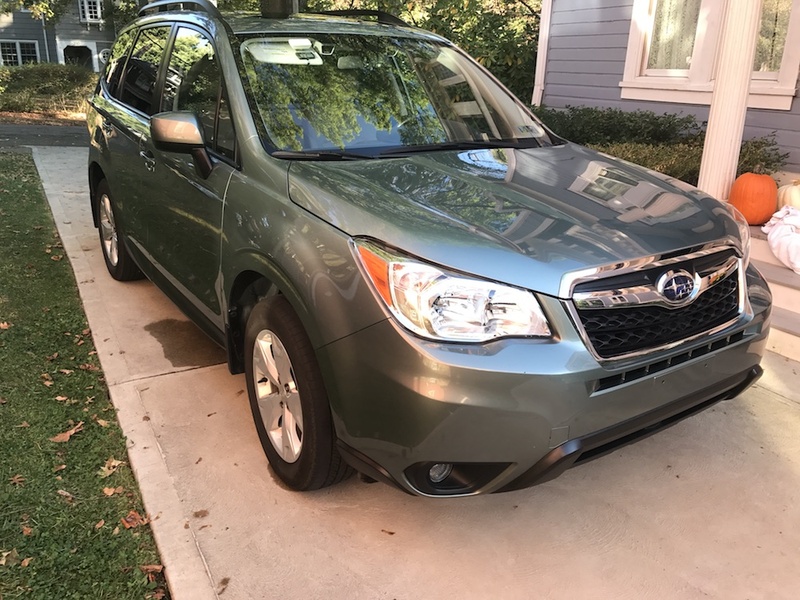 Reason two: Her Subaru is a helluva lot smaller than my F150 SuperCrew. And reason three: Cliff refused to drop off a Porsche, despite the generous offer of a free rookie detailing job. Go figure! 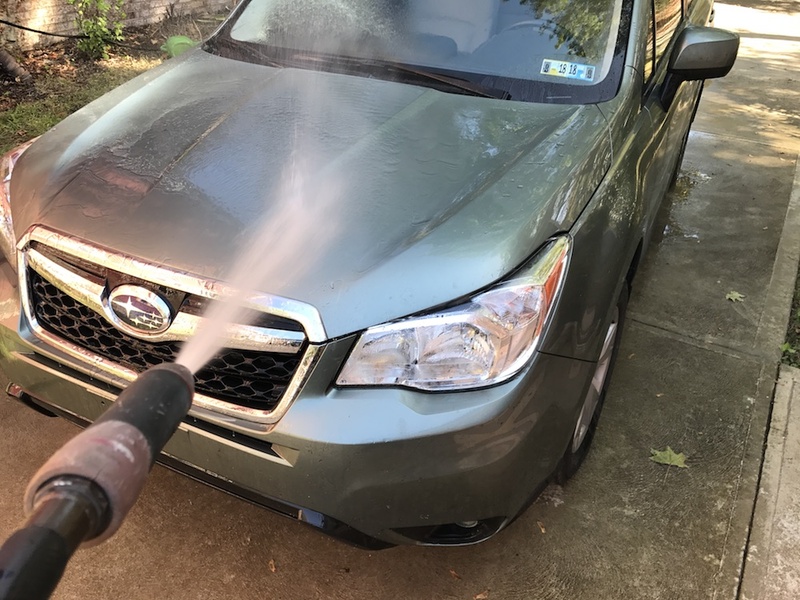 The test vehicle had a good protective coating of dust. 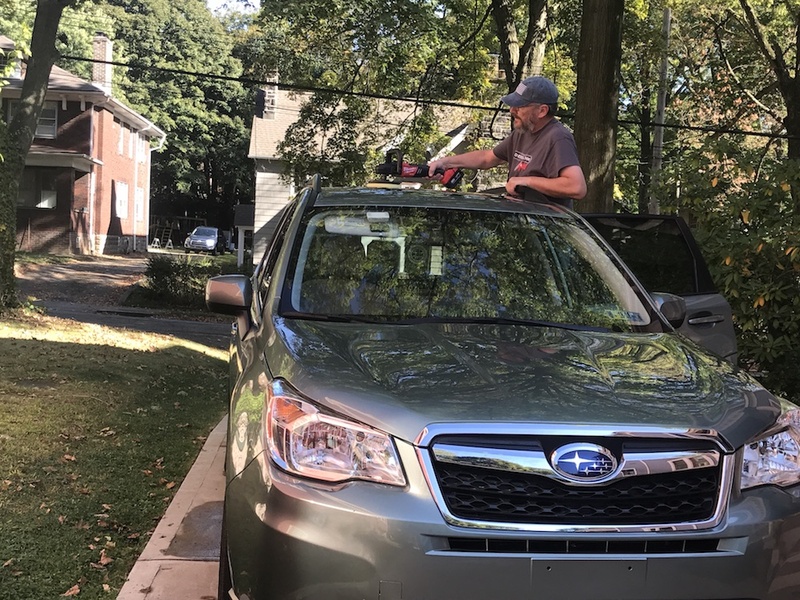 Just because the Subie is smaller doesn’t mean it was cleaner. We are renovating an old farm house, which is located on a dirt road. 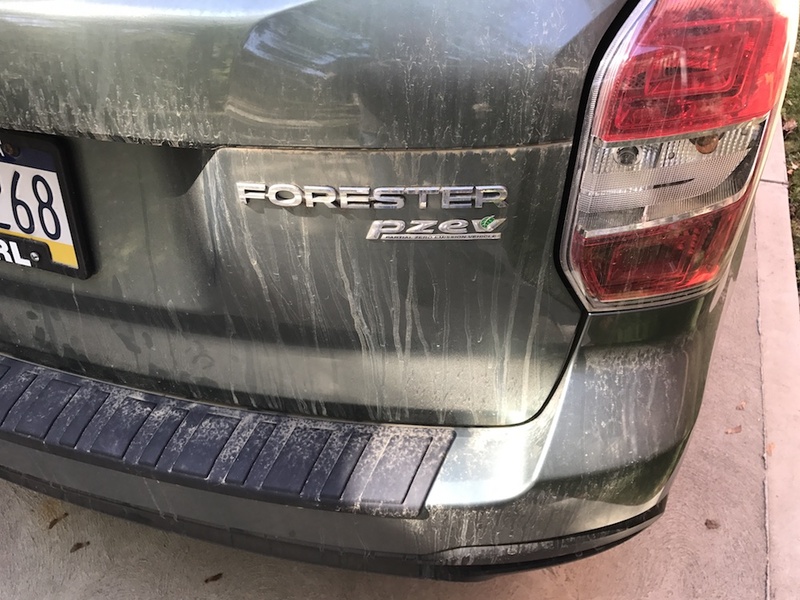 This means that, depending on the recent weather, the car gets a good coating of either dust or mud. Fortunately, the weather had been pretty dry recently, so…dust it was. I got out the hose and bucket, and gave her car a nice bath. 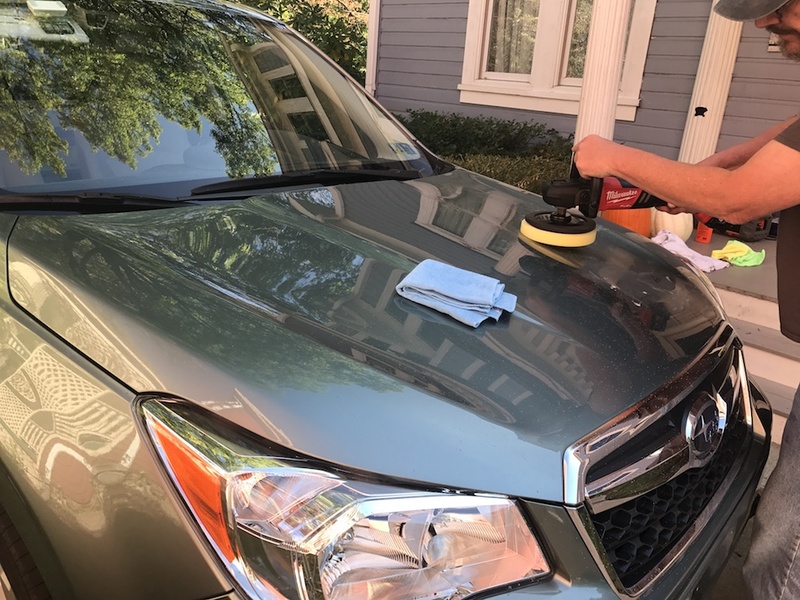 Once the car was clean, it was time for the Milwaukee M18 polisher to shine. I had attached the bail handle, figuring I could use all the control I could get. 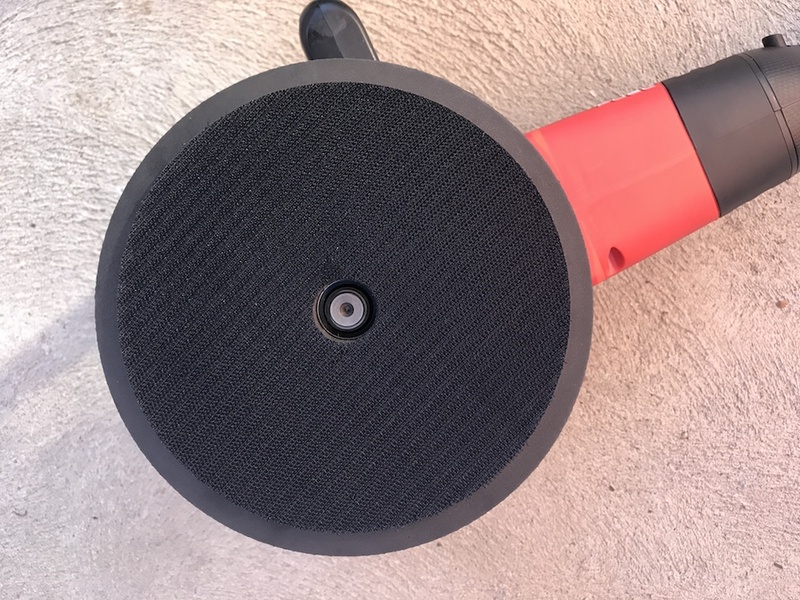 I had also threaded the backing pad into position, and attached the foam polishing pad. 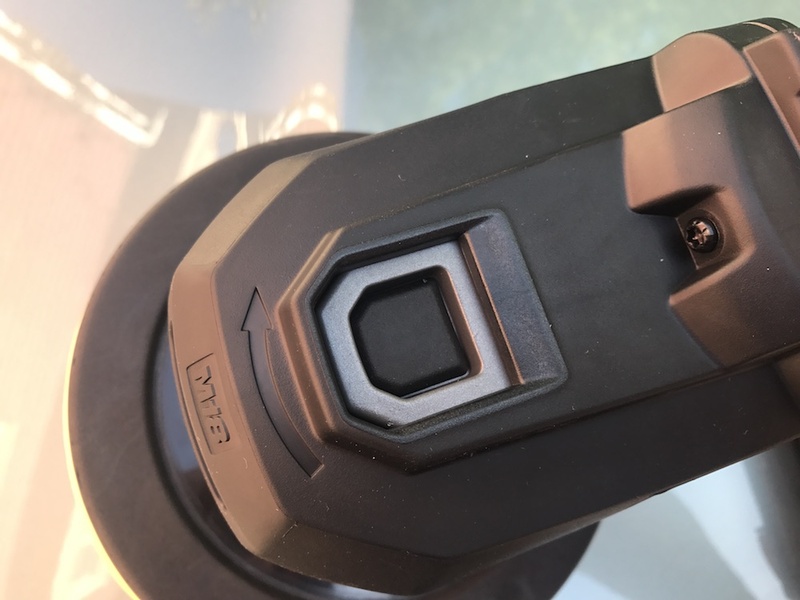 I was skeptical of how well the hook and loop attachment would work to keep the pad in place; after pressing the pad into position, and trying to remove it, I was skeptical no longer. Pad on, ready for its maiden voyage. 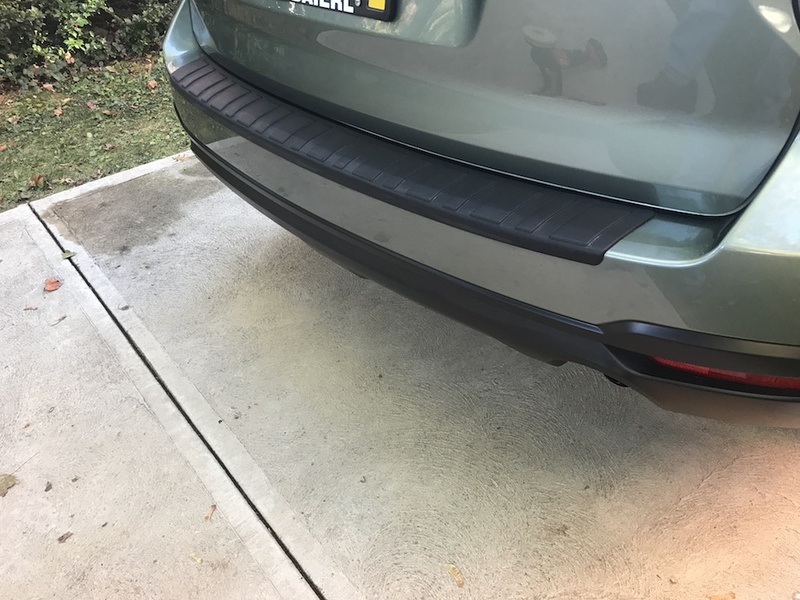 I tried two methods of applying the liquid wax. 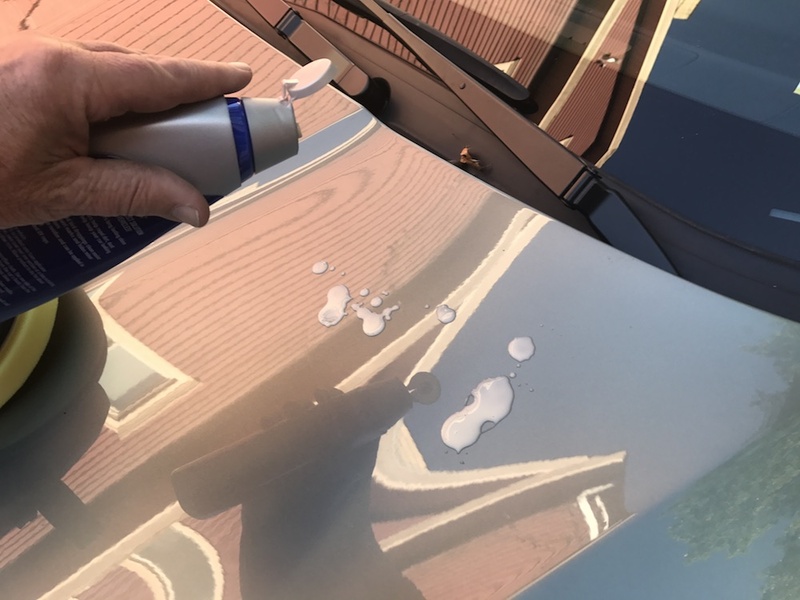 I started by squirting some onto the surface of the car, then bringing the pad down onto it. I also tried squirting the wax directly onto the pad. I’ve seen pros do it both ways, and end up with excellent results. I ended up sticking to the “squirt it on the pad” technique, which seemed to work fine. Both methods did equally well at flinging any excess polish all over me and the already-polished surface. I may have used a tad too much polish; have I mentioned I’m a detailing rookie? And right on the pad, with similar results. 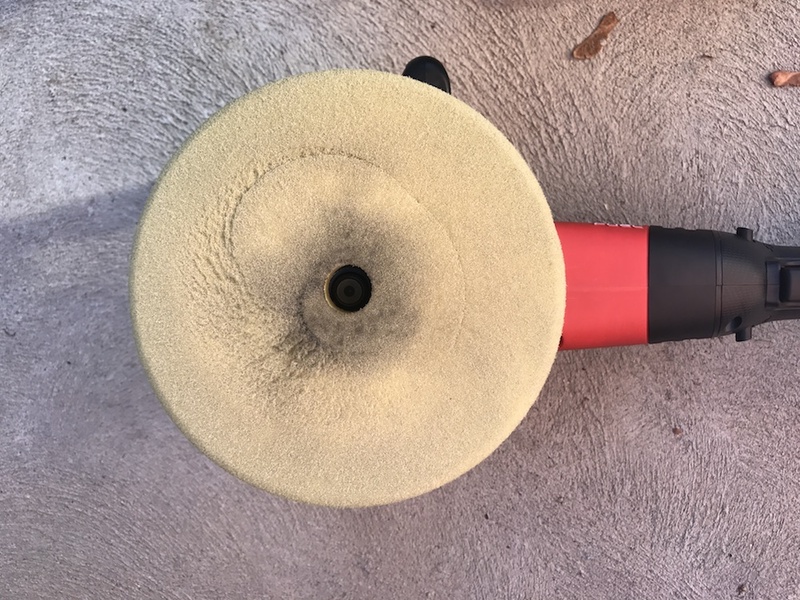 The Milwaukee M18 polisher did a really nice job of spreading the wax around and buffing it. After reading the “burn the paint” warning, I dialed the speed back pretty far, and took the job slowly. Someone with a clue could probably have finished the job in far less time than the almost two hours it took me. And off we went. The Milwaukee M18 polisher was easy to control. Slow and easy around the mirrors. And everywhere else. 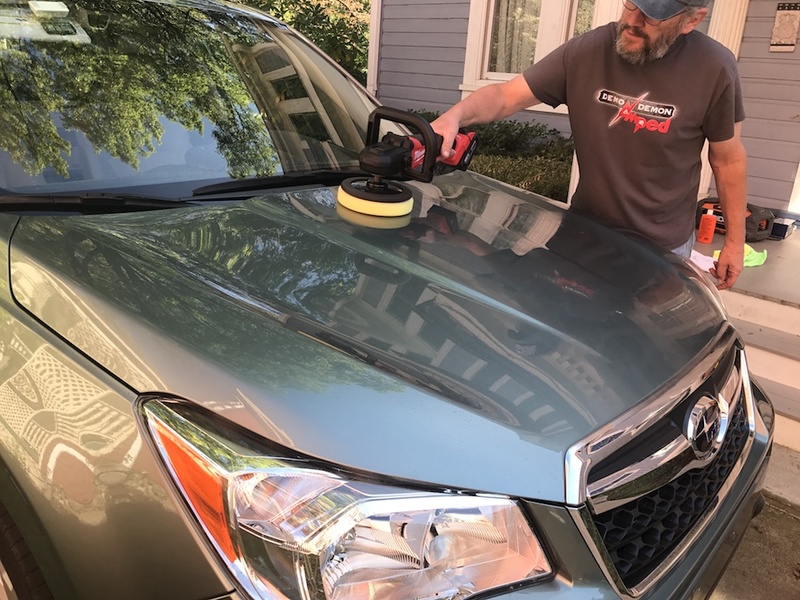 The polisher wasn’t overly heavy or hard to control, and I used it several times one-handed, to reach the center of the hood or roof. Just the weight of the tool was the perfect amount of pressure to get the polishing done. Using one of the 5.0 Ah batteries that came with the kit, I still had juice left when the job was finished. That made it easy to get the center of the roof. 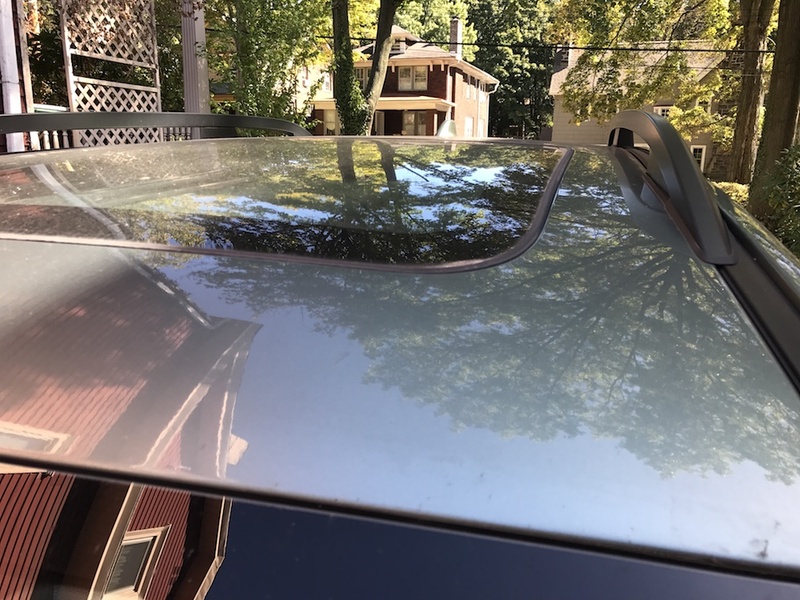 Using a polisher really speeds up the detailing process, once you get the hang of it. There are some spots that still need to be done by hand – under the door handles, and between the door and the mirrors, for example. 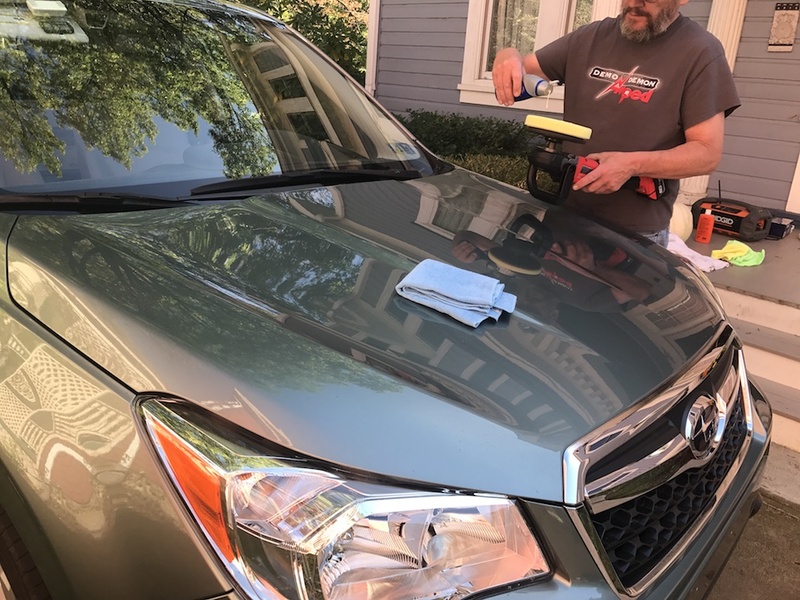 On the bulk of the car, though, the Milwaukee M18 polisher was able to get right in there and work its polishing magic. Winter is coming, at which point we trade the dust and mud for snow and slush. 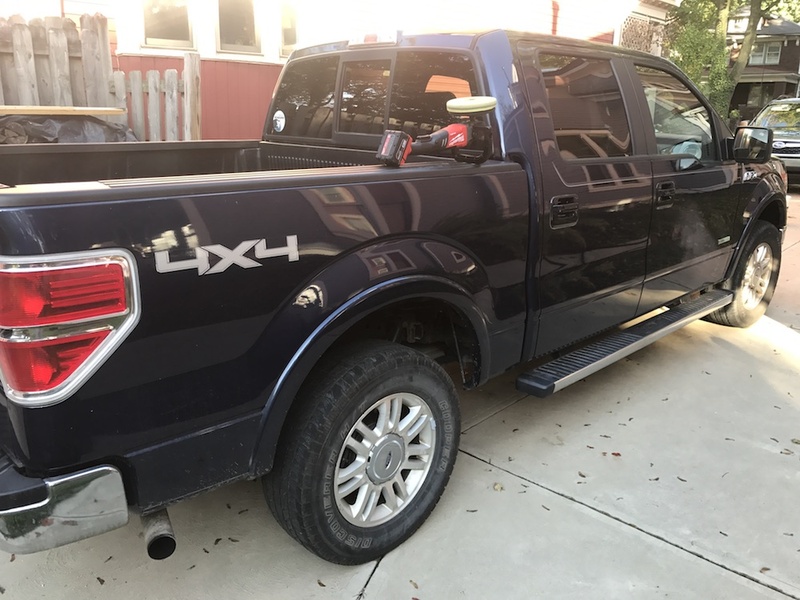 When I do get motivated to get a good coat of wax on my truck, the polisher should be a huge time saver. We’ll save the truck for another day. 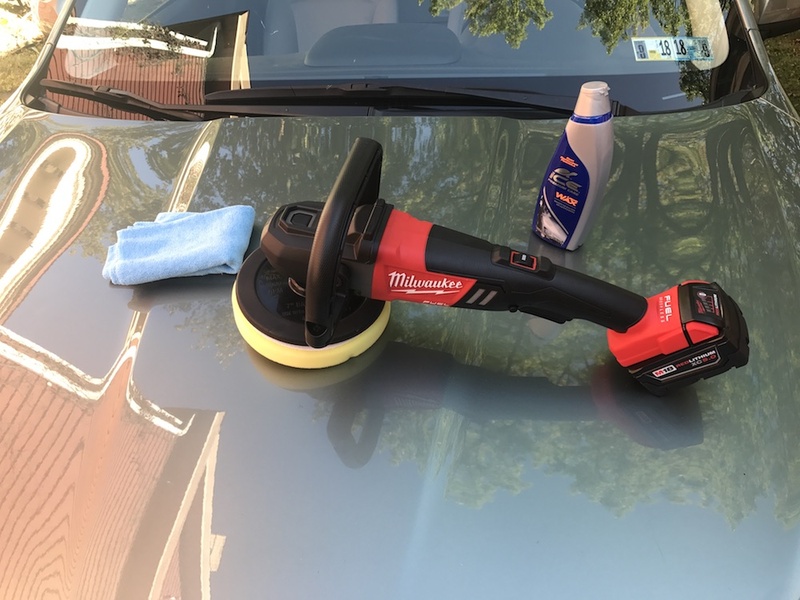 If you do detailing for a living, or you’re a car fanatic who obsesses over keeping your rides clean and pristine, I’m betting you’ll love the Milwaukee M18 polisher. It’s well-balanced, easy to control, and it works great. It can do everything a corded polisher can do – except trip you or drag a cord across your perfect paint. Brownie points earned – the universe is in balance. The kit we got comes with two 5.0 Ah M18 batteries and a charger. 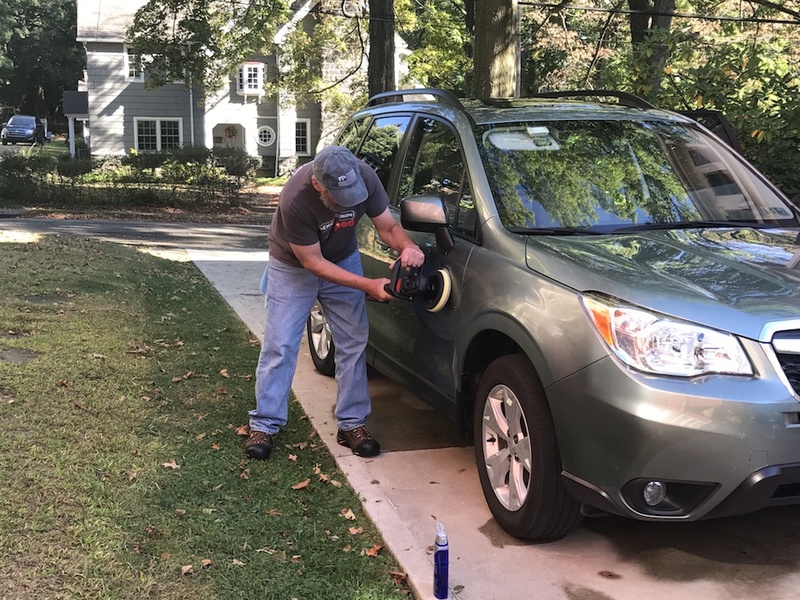 Milwaukee estimates that it takes a pro roughly 45 minutes to detail an average car, and that a single battery is enough to get the job done. Ready for the next car? Grab the second battery, slap the used one in the charger, and by the time the next car is finished, the first battery is ready to play again. 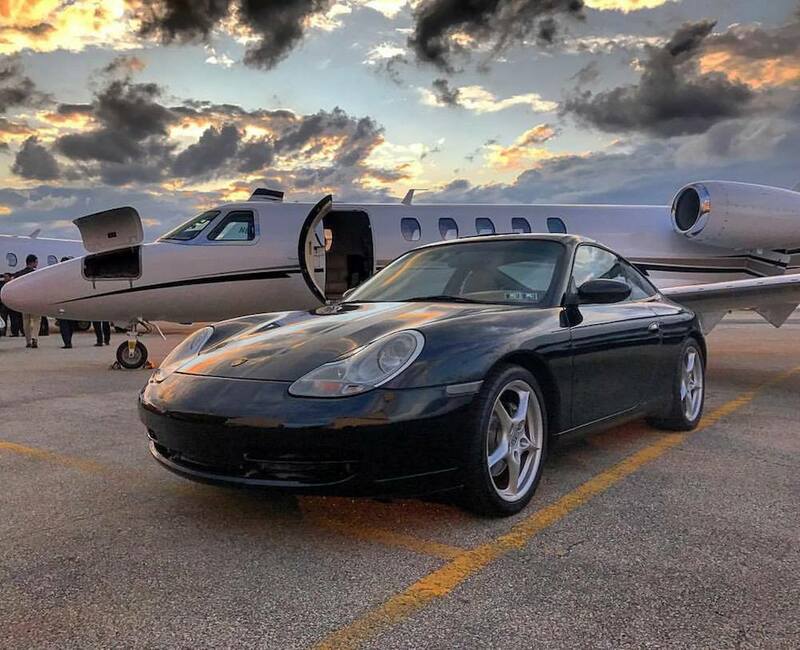 Do a lot of stretch limos, yachts, RVs or the occasional Lear Jet? Slide in a Milwaukee High Demand 9.0 Ah battery, and get to it. The Milwaukee M18 Polisher is a solid unit; it looks and feels like a quality tool. It’s clearly aimed at the pro user, and should hold up well in a shop setting. Milwaukee obviously thinks so, too – they back the tool with a five-year warranty. If you’re tired of working all day with a cord hanging off your shoulder, pick one up and take it for a spin.